Place stickmen and hold the line against evil zombies. Kill them and collect treasures. Zombies are coming and seems like nothing can stop them. Stickmen are here to deal with nasty monsters. 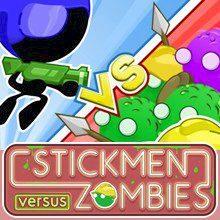 Place different types of stickmen units and hold defense against these zombies.